Why Did I Not Receive My Massachusetts Real Estate License Renewal Paperwork? The last few weeks we’ve been receiving many phone calls from agents asking us, “How do I renew my license?” , “When do I renew my license?” and “When does the Board send out the renewal paperwork?”. The first question that we ask is “When is your birthday?”. The Board of Real Estate Brokers and Sales Persons will mail out the renewal forms 2 months before your birthday. If they have not yet received the forms, we always ask if they have moved. The Board does not check to see if your mailing address has changed. It is our responsibility as Real Estate agents in Massachusetts to update our mailing address with the board. 1. If you have moved since your last license renewal or passing the Salesperson or Broker test. Click here to download the pdf form that you need to fill out to change your address with the Board. 2. If it’s time for you to renew your license and you have not yet received your renewal paperwork. You’ll need to call the Board (617) 727 – 2373 to check the address they have for you. You will also need to ask them to send out another renewal form. 3. If you plan on paying online. You will need to create an account on the Board’s website. In order to do that you will need the Record ID/license number that is found on the license renewal paperwork. 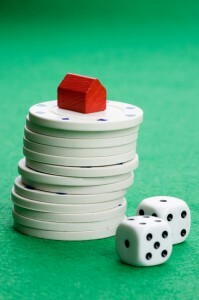 If you do not have the paperwork you will need to call the Board (617) 727 – 2373. As real estate agents it’s our responsibility to make sure the property that our clients are selling is going to pass the Smoke Alarm Inspection. So, don’t forget to check the alarms to make sure you have the right ones near the kitchen and bathroom. Remember any smoke alarms that are within in 20 feet of the kitchen or bathroom with a bath tub or shower must be photoelectric smoke alarms. The alarms are not over 10 years old. Many students ask us where do we find the date the smoke alarm was manufactured. Click on the image below to download the flyer. We hope you had a wonderful Thanksgiving with family and friends. 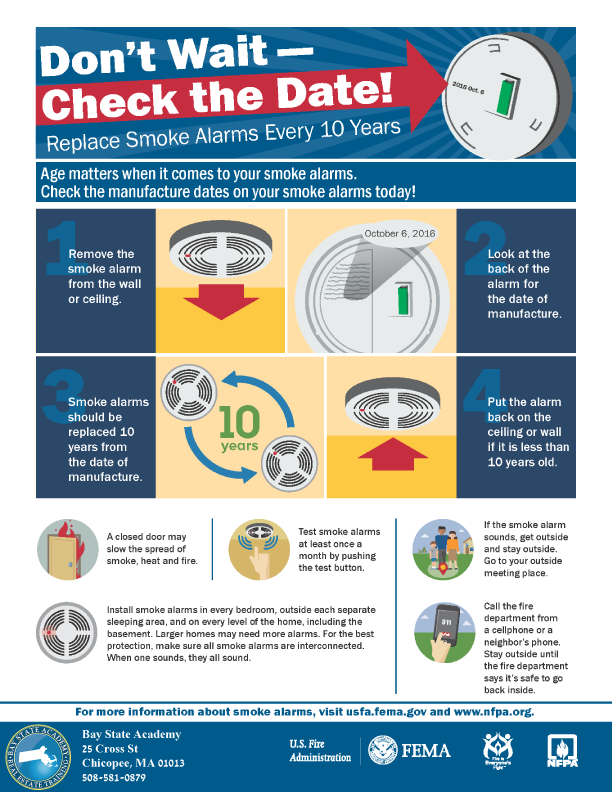 We just wanted to let you know that on Dec 1st new regulations require owners of single or multi-family homes built prior to 1975 to replace expired and non-working smoke detectors with new ones equipped with a ten year sealed battery. Fire departments will be checking for compliance when they conduct smoke alarm inspections. I just finished talking to one of our students. She needed a copy of her Continuing Education Certificate, because her entire office is being audited by the Board of Licensure. That’s right its not a typo. On Monday the office was notified that every agent in her office has to send in their Continuing Education Certificate. So, while I was talking with her I could hear the stress in her voice and she only needed a new certificate showing she finished the classes. I could only image the stress and anxiety an agent is feeling that has not completed the 12 hours of continuing education and stated that it was complete when they sent in their renewal. As agents we already have enough stress and anxiety in our day to day lives. We really do not need to be adding anymore. While on the phone I thought to myself, “How can I help relieve the stress some of the agents are going through about this audit?” I quickly created a $50 off coupon (Coupon Code: EE75) that she could share with everyone in the office that needs to take the 12 hours of continuing education. So, if you have not completed your continuing education for your license renewal don’t delay. You or your office could receive an audit letter from the Board of Licensure. Go ahead and register online today. Each of our online continuing education classes are a 2 hour video presentation with no tests or quizzes. Our program also keeps track of your time, so you can pick up where you left off when you log back in. Please feel free to share this offer with agents in your office. We always appreciate and value the referrals we receive from our students.